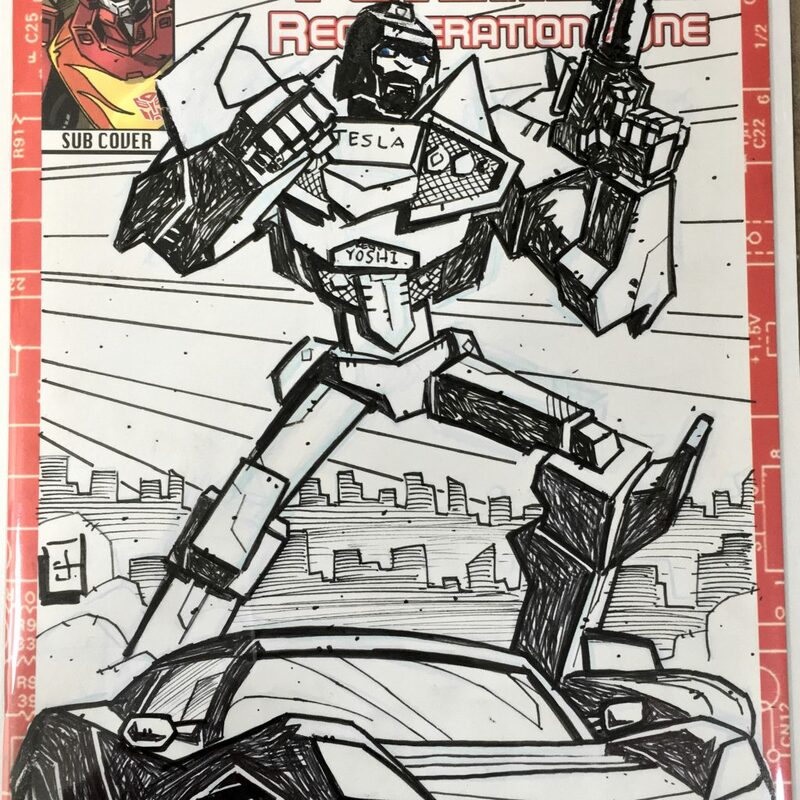 While at TFCon DC last October, I was able to pick up a sketch cover commission from Transformers comic book artist, Josh Burcham. Before attending the convention, I contacted Josh over E-Mail regarding the commission. I asked him to create an original character for me. An Autobot Transformer based on the TESLA Roadster automobile in the G1 style. 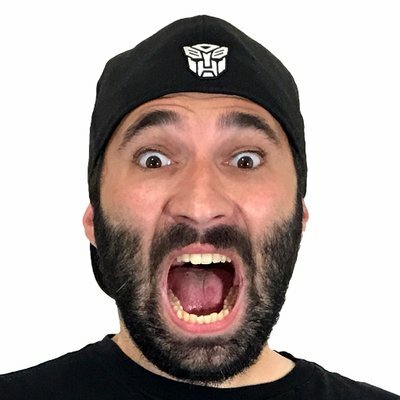 As you’ll see in the video below Josh’s unique take on this character is pretty rad. I hope you enjoyed this interview with Josh Burcham. Below is a photo of the sketch cover I commissioned from him. 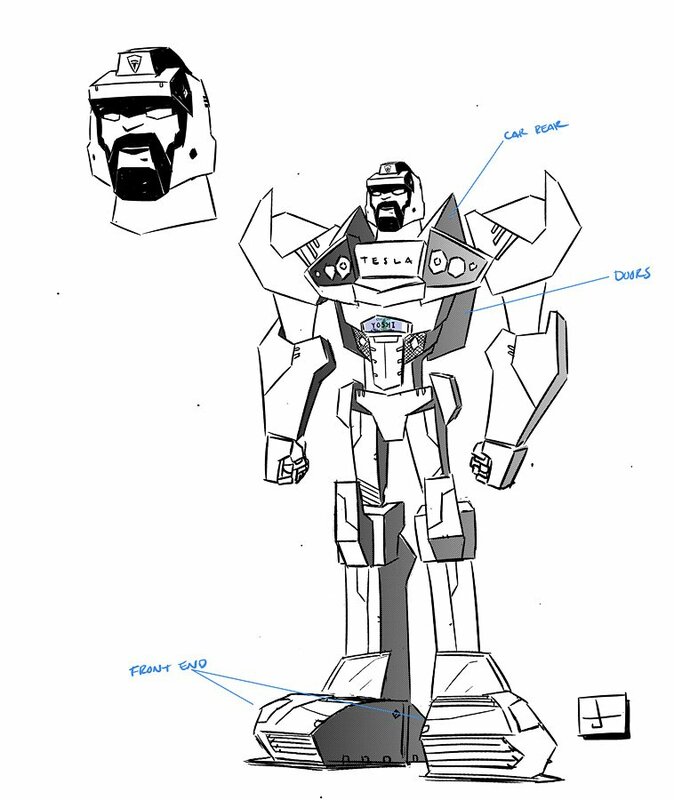 Josh Burcham is a comic book artist working primarily for IDW Publishing on their TRANSFORMERS: OPTIMUS PRIME comic book. Josh also has a new book coming out from Action Lab Comics called the HARDCOURT LEGACY. A comic book that I’ve seen in advanced and already pre-ordered at my local comic book store. 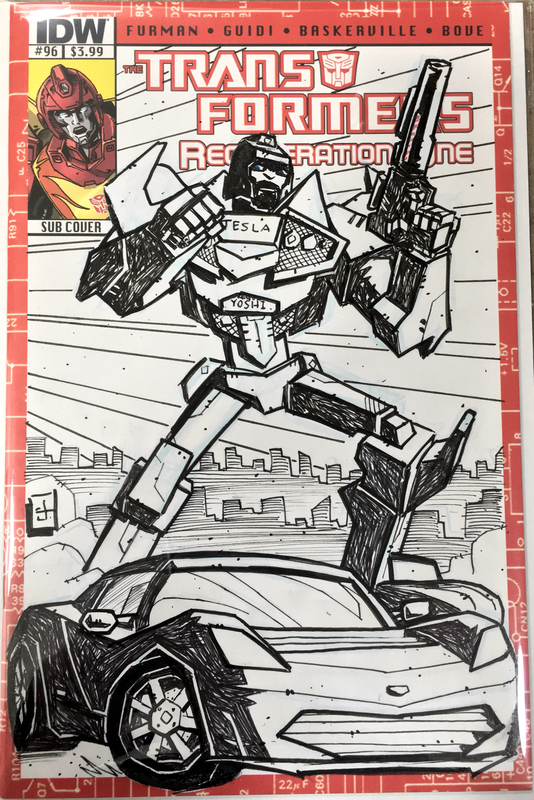 Want to check out another TESLA that I commissioned to be turned into a Transformer?